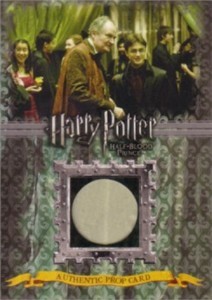 Harry Potter and the Half-Blood Prince authentic prop card P6 (Slughorn's Christmas Party Drapes), serially numbered out of only 330 produced. NrMt-Mt or better. ONLY ONE LEFT.